which means it is officially Christmastime at our house. 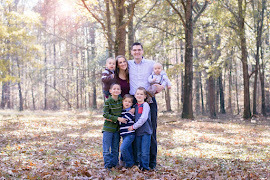 I thought it would be fun to devote this week to sharing some of our family's traditions and celebrations of the season. and stick around if you like! 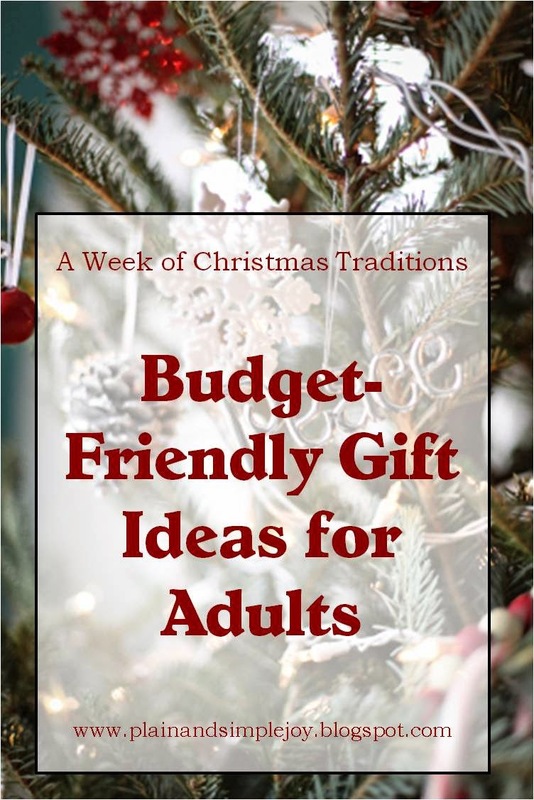 Today I'm sharing some budget-friendly gift ideas for your spouse or other adults in your life. we've had to be pretty creative about getting gifts for one another on a tight budget. it's proven to be fun and meaningful! So, without further ado, here are a few of the gifts we've enjoyed together. One year for Christmas, my sister-in-law sent us a card that stated that they had purchased a chicken for a needy family in the world in our behalf. How cool is that?! 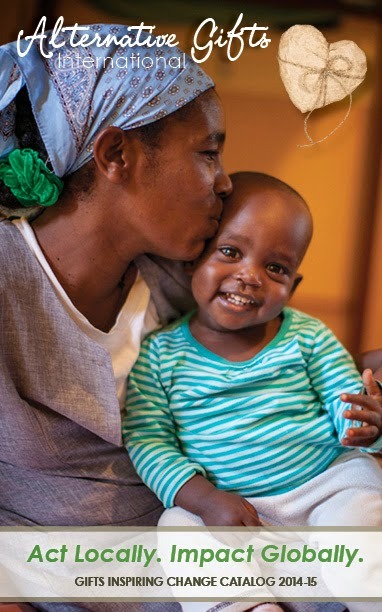 We were in awe at the thoughtfulness of this gift, and a couple of years later this motivated me to use the organization Alternative Gifts International to get a gift for my parents. This organization is amazing! They have a huge selection of projects they support, and you can donate any amount, although they have suggested incremental amounts that will cover various parts of projects. They will also personalize a card and send it to the recipient with an informational page about the project you donated to. And one of the best things about this company is that it is about empowering individuals so they can grow to provide for themselves and their communities as time goes on. 90 percent of your donation goes directly to the project and the remaining 10 percent goes to overhead costs. It was so cool for my parents to get a card that said that their gift was saving 10 lives as 5 pregnant refugees, hiding in the jungle in Burma, were vaccinated against malaria, thereby protecting them and their unborn children from a serious threat. Last year my siblings and I also did a number of acts of service in honor of my parents, took photos of what we had done, and then put together a slideshow with music. It was so touching to see it all come together, and I know it meant more to them than any material things we could have given them. It may sound unusual, but gifts of service to others are some of the best gifts! This is really our go-to gift for any holiday. Did you know that you can get most books, as long as they've been out for a few years, for less than a dollar on Amazon? We've gotten so many amazing books in this way. I'm amazed that you can usually get hardback books in great condition for just a penny, plus $3.99 shipping. 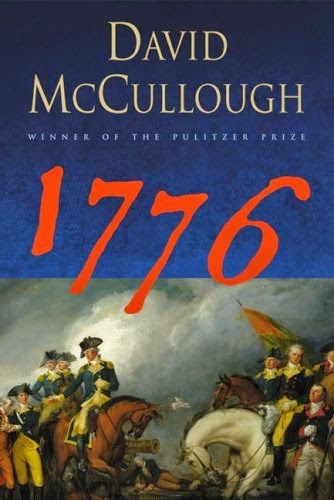 From David McCullough's 1776 to this sweet book Sam got me this year for my birthday, we've enjoyed taking advantage of Amazon's great book deals! Don't know what books they are wanting? Encourage them to create a wish list on Amazon and draw from that if need be. A little over a year after we were married, Sam was in the throws of his first year of graduate school and we had recently moved to Houston. I realized that one of the hardest things for him to do was to take the time to research the area and come up with an idea when it was his turn to plan our weekly date. So for Valentine's Day, I made him a booklet called "The Dating Resource of Houston, Texas." I researched a huge number of things to do in the Houston area, compiled them with details, and put them in a booklet for him to make that planning easier. Once Sam wrapped up a bunch of hardware and put it under the Christmas tree to show me that he would finish building the swingset he had started for our kids. Another time I knew he would enjoy listening to a series of interviews, so I downloaded a bunch onto our ipod and wrapped it up for his birthday. He used that all the time while riding his vanpool to work and writing his dissertation! No matter what gifts we give each other, we typically write something to go along with them. And that often becomes the most meaningful gift of all! For our first Valentine's Day together, Sam enlisted the help of several family members and friends to all send me valentines because he wanted me to feel loved by many. He even made a Valentine from our unborn baby! He also recruited one of my professors to put up a Powerpoint slide at the beginning of his lecture with a Valentine's message from him for me! And for our first anniversary, he made me a book with 18 different sections documenting different milestones in our relationship. He then took me to a park to play frisbee golf, and after we got our frisbees into each basket, he would show me the next section of the book. Yep, my heart pretty much melted right then and there. One year for Valentine's Day I wrote a poem, cut it apart into separate lines, and stuffed each line inside a balloon along with a miniature candy bar. I then blew up all the balloons and hid them in the car for Sam to find when he went to go to work in the morning. He had so much fun popping all the balloons at red lights, and when he got home that evening he spent over an hour piecing the poem back together so he could read it in its entirety. We have an overflowing binder filled with things we've written for one another, and they are really some of the most meaningful things we have. One year for Sam's birthday I made him a blue-jean quilt, and then we went on a picnic breakfast where I gave him his gift, as a symbol of the fun we have together and the fun and memories that lay in store for our family. We have used that quilt so much! We just keep it in the back of the car, and it's perfect for the beach, picnics, outdoor concerts, camping, and more. Just collect blue jeans as they wear out, or pick some up at garage sales or thrift stores. For the back of the quilt, use a flat sheet from a thrift store, and you can get batting from Hobby Lobby with a 40-percent off coupon, or it regularly goes on sale. You can also make T-Shirt quilts in a similar way, by cutting out the front design from old T-shirts and patching them together. You can get free photo books or other keepsakes from Shutterfly regularly (just sign up for their e-mails). You can make photo books documenting your relationship or make photo-gifts for one another. Favorite meals are also a hit! They might not be Broadway-quality, but it's still fun to go to university, high-school, or community plays. Check the local high school calendar and see if any performances are coming up. Check your rec center or watch the newspaper for upcoming events. Some universities have free performances--we discovered Shepherd School of Music at Rice University in Houston, where almost all performances are free, and we attended a couple of concerts there. Last year for Christmas I gave Sam tickets to a local high school's performance of Les Miserables, which he had been wanting to see for years. There have been a couple of times Sam has gotten me meaningful music or games I loved as a child (like Guess Who, shown above). Not only have these gifts been nice, sentimental strolls down memory lane, they have also allowed me the opportunity to share part of my childhood with him. I had a CD as a teenager, but lost it, and it was only available on cassette tape. One year he bought the tape used online and then converted it to a CD using a machine in the university library. I've also gotten him games from his childhood, and one time surprised him with a CD he loved to listen to during the two years he spent as a missionary for our church. Check Amazon, Alibris, eBay, or thrift stores to find some great deals! Along the same lines, thrift stores are jackpots for great games! I'm careful to check and make sure all the pieces are still there, but you can get some great deals if you dig a little. We love playing games if we have a little downtime! We've built up quite the collection in our years together. And don't forget to check the outdoor-equipment--I got a great croquet set one year for seven or eight dollars that we love playing with! If you want to be really frugal, you can check out materials from the library and wrap them up to enjoy together before returning them. Once I surprised Sam with some books-on-CD I knew he had been wanting to listen to. I checked them out from the library and snuck them into the car for his commute. We've also planned so many dates or family activities and "given" them as part of the holiday celebration. For our second anniversary, Sam called my mom and found out where in the Houston-area we lived when I was 5-8 years old. He then drove us out to my old house and we played with our son at the playground of my old elementary school. Other than gas money, it didn't cost anything, but it was such a fun celebration together. Once for Sam's birthday, I fixed up our bikes, which had fallen into disrepair, and took them over to a park the night before and locked them up to a tree by the side of a bike trail. The next morning, we went on a walk along the trail, and when Sam noticed the bikes he was so excited! I'd love to hear some favorite gift ideas of your own! How have you been frugal, but thoughtful, in gift-giving? Thanks for your ideas! A year of dates is brilliant...Sam would LOVE it if I planned a year of dates in advance, although we love taking advantage of community events which we can't always plan far ahead of time. What types of things are you planning? Are you giving it to him in a coupon book or something?